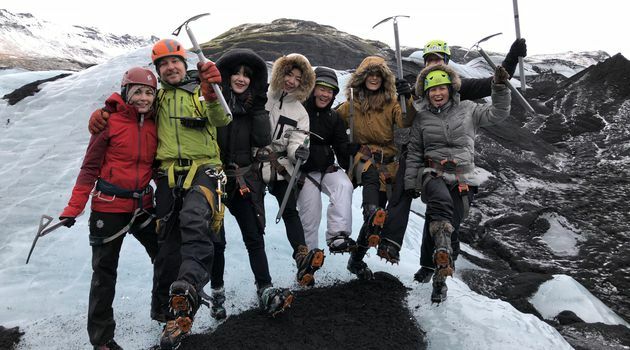 This is a comprehensive glacier tour, where you’ll learn about these massive natural phenomena from your guide and be provided with all the necessary equipment to get some exercise in full comfort and safety. 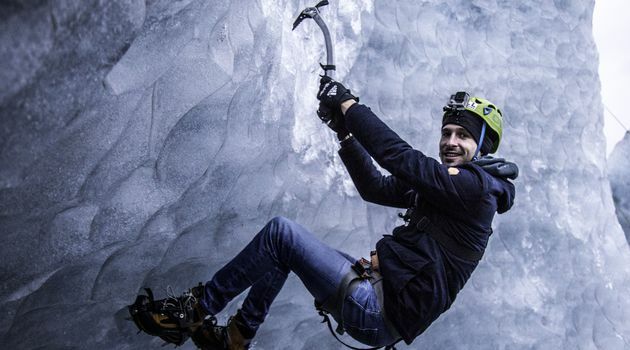 You will also learn the basics of ice climbing and climb the vertical crevasse walls of Sólheimajökull glacier. 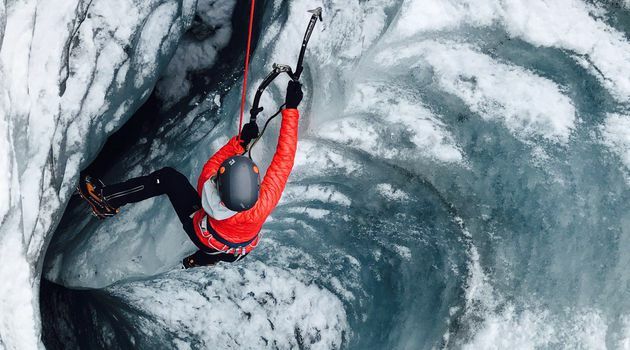 This tour is for anyone looking to experience one of the natural wonders of the earth. 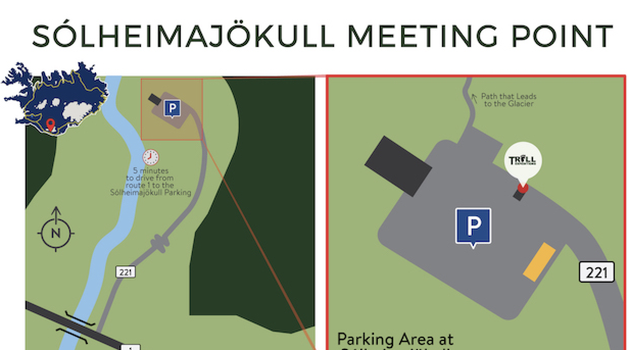 You’ll meet your guide in the Sólheimajökull parking lot and then make your way to the ice itself, a brisk 30-minute walk to get the blood flowing. (The glacier was once closer to the lot, but warming weather and the glacier’s own movement has caused it to recede into the distance.) 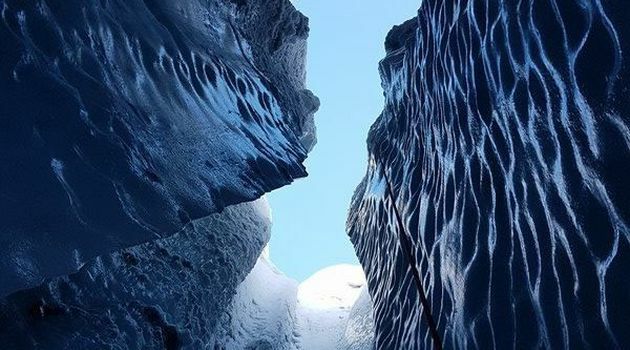 Sólheimajökull is an outlet glacier of Mýrdalsjökull, one of the biggest glaciers in Europe. 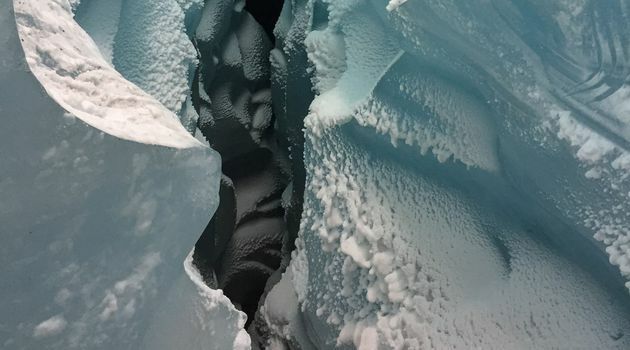 It is featured in detail in the 2012 documentary “Chasing Ice,” an award-winning investigation of climate change. 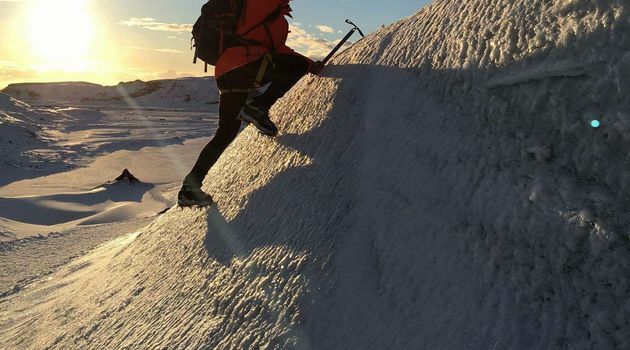 Once you reach the ice, you’ll be given plenty of time to marvel at the eerie silence and feeling of isolation, as if you and your fellow hikers are alone in a vast, empty world of ice and snow. 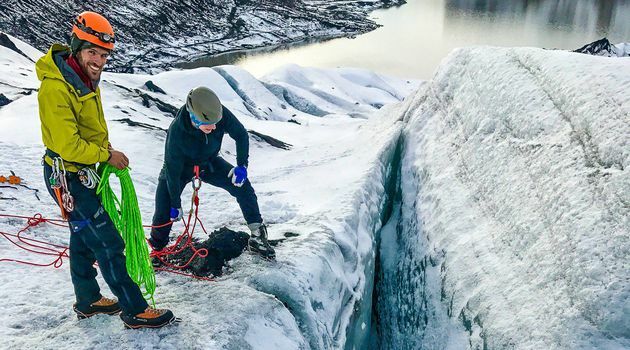 You’ll view millennia-old blue ice, created when oxygen bubbles are trapped in the snow and compressed into ice by the enormous weight of the glacier pressing down upon it. 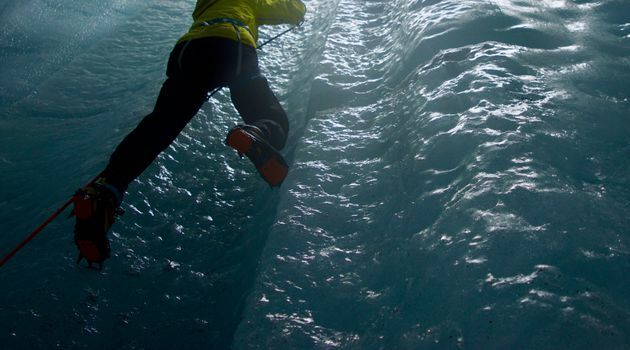 You’ll be able to gaze deep into a glacier moulin, a vertical shaft like a well, which can go all the way to the bottom of the glacier. 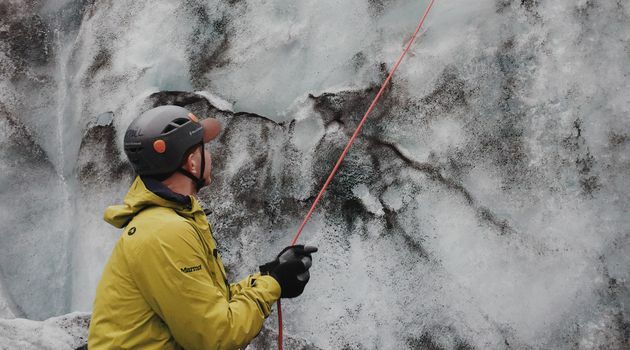 The guide will set up a climbing rope and you will learn how to ascend a vertical wall using ice axes and crampons. What’s down there? 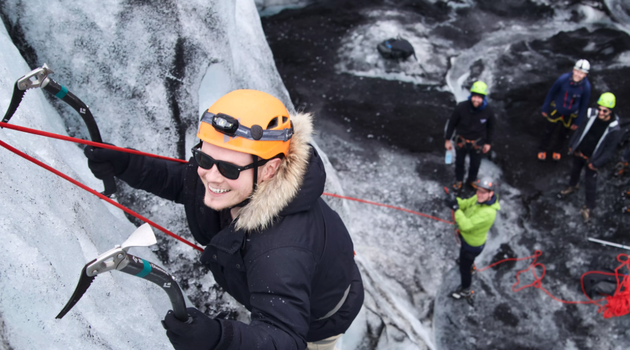 The ice cap sits on top of the mighty Katla volcano, one of the largest and most active volcanoes in Iceland. 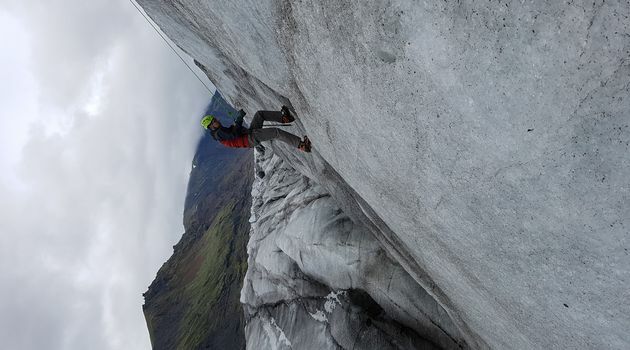 On a clear day, you may also be able to see Eyjafjallajökull, another glacier to the east which famously brought European air traffic to a halt in 2010 when its eruption filled the sky with fire and ash. 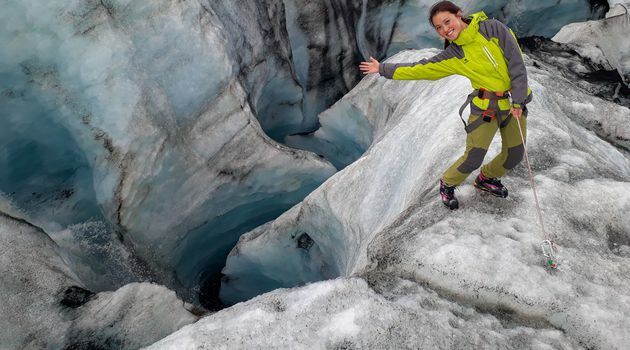 Never been on a glacier walk before? 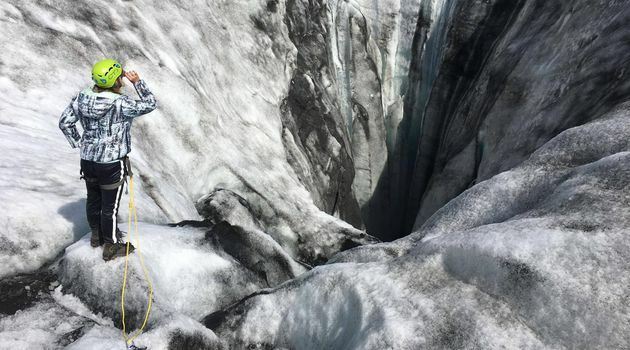 Never used crampons or ice axe? No worries! 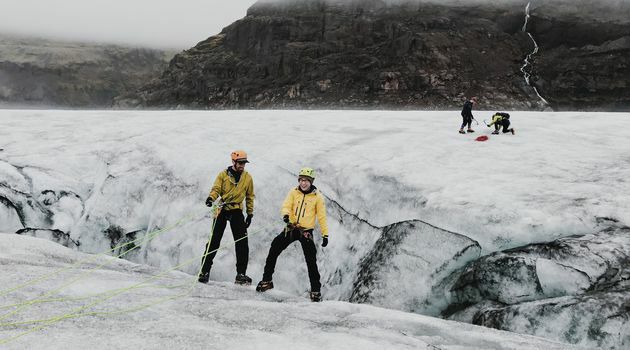 Experienced guides will teach you all you need to know and have you walking safely on the glacier in no time. Safety equipment and briefings are provided before each tour. Nature is best experienced free of worries!